The True Cost of Processing an Invoice for Small to Large Businesses - AMI Imaging Systems, Inc.
Did you know that 90% of all invoices worldwide are still processed manually? All companies must process invoices. It’s just a part of doing business. To understand exactly how much invoice processing costs your business, you must look at the entire invoice processing cycle. For some companies, processing accounts payable is a time-consuming, detail-intensive function. For others, it’s a quick and easy task. The cost to process an invoice is the most basic metric, but in many cases, one of the more difficult to assess. The challenge is to obtain an apples-to-apples comparison of the process steps included in the cost calculation. Some studies include costs associated with routing, mailroom activities, copying and follow-up. This is where benchmarking studies can be particularly useful given their ability to employ a consistent definition in their cost analyses. Even with that consistency, cost studies show a wide range of operating results. One benchmarking study calculated the cost to process a vendor payment ranging from $5 to $26 an invoice, while another study cited the cost ranging from $4 to $14 an invoice. Interestingly, there is little correlation between the cost to process an A/P invoice and the size of the company. 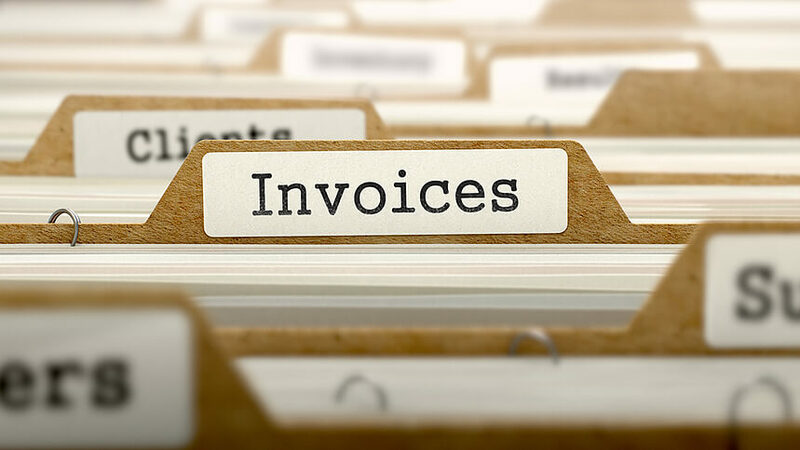 On average, businesses receive 63 percent of their invoices as paper. The rest are either through email, fax, or other electronic formats. In nearly all cases, when invoices are received via email or electronic they are copied and distributed. Manually distributing and processing paper invoices results in lost or misplaced invoices, long approval and exception-resolution cycles, late fees, missed discounts and duplicate payments. Manually validating invoice data and matching invoices to related documents is a costly and time-consuming process. The problem is compounded when invoice errors are detected late in the processing cycle. Detecting errors late in the processing cycle is a big reason for delayed approvals – leading to late-payment penalties and missed early-payment discount opportunities. Between 20 and 30 percent of all invoices result in exceptions in one form or another. Businesses realize a lack of visibility into invoice and payment data as their top accounts payable challenge. In a paper-based invoice processing environment, managers do not have an overview of all invoices in the workflow, limiting opportunities to improve working capital. Consequently, in a paper-based environment, key data is not captured, data is poorly organized, information is not timely, systems are not well integrated, and decision makers do not have access to key variables. Automation enables businesses to electronically process invoices received in any format (paper, e-mail, fax, scanner, supplier portal, XML, mobile, or EDI), at any location. Invoice data is digitized and automatically extracted, validated, routed for approval, and stored. This eliminates the costs of handling, routing, storing and retrieving paper documents, and keying invoice and payables data. Nearly all invoice data can be extracted automatically without human operator intervention. What’s more, accounts payable automation provides complete audit trails, rich invoice data, visibility into invoice and payment status, and direct links between purchase orders, invoices and payments. Some solutions also automate the reconciliation of bank statements and accounts with data from the accounts payable platform. Improved processes are the top benefit of invoice automation identified by accounts payable professionals. One way that automation improves processes is through the elimination of error prone keying and verification of invoice data. With an automated solution: suppliers can convert electronic purchase orders into invoices (eliminating the chance of errors); invoice data is automatically validated at the point of submission; data extraction and invoice matching is automated; and information from approved invoices is electronically posted to an ERP platform or downstream system. Some accounts payable solutions provide: field-level validation of data (using information stored in an ERP system), the ability to automatically populate data fields using information from external data sources, and duplicate invoice detection. Increased visibility into processes allows managers to view details and status of all invoices in process. This allows for tracking and reporting on accruals based upon invoice status. The ability to access and view associated documents in your accounting system, email, or mobile device means information is available in real-time to make informed decisions. Automating processes translates into lower costs and develops better vendor relations. AMI’s Content Services Team of automation experts will help you reduce cost of processing your invoices and streamline your business processes in all departments. Contact AMI for an evaluation of your processes and have us demonstrate what AP automation will do for you.